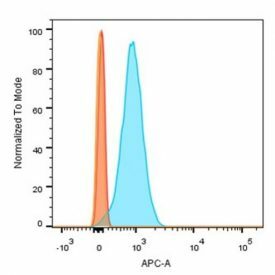 Use our Antibody Finder to search for antibodies based on reactivity, cross-adsorption, and other criteria. Choose the optimal dyes by visualizing the spectra of our popular CF® dyes, organelle stains, and more using the Spectra Viewer. 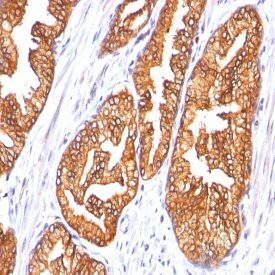 Browse secondary antibodies, search with Antibody Finder, or see secondary antibody product listings with catalog numbers. 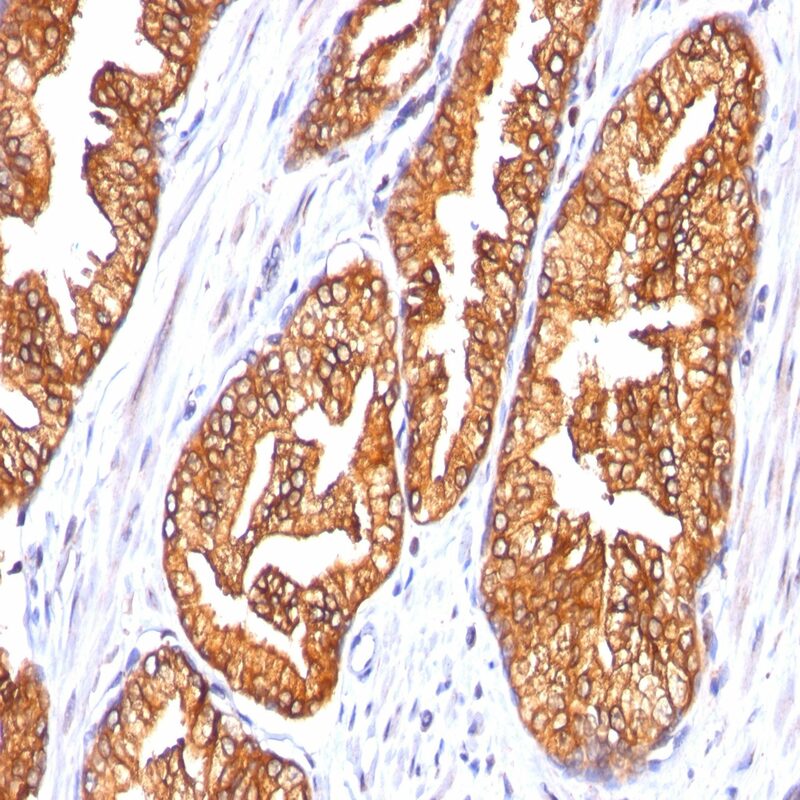 Formalin-fixed, paraffin-embedded prostate carcinoma stained with monoclonal anti-ODC-1 clone 485. 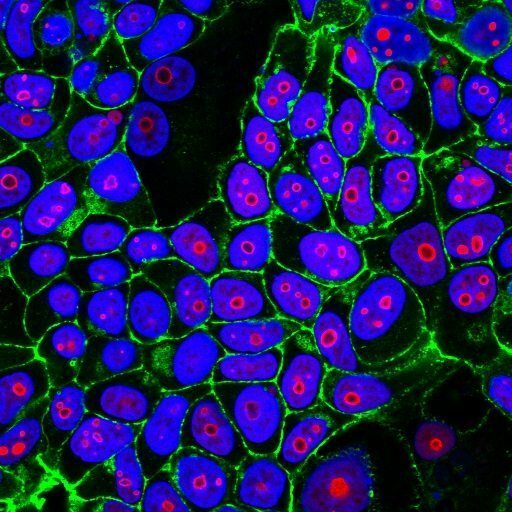 MCF7 cells stained with CF®555 anti-Cyclin B1 clone CCNB1/1098 (red), CF®488A phalloidin (green), and DAPI. 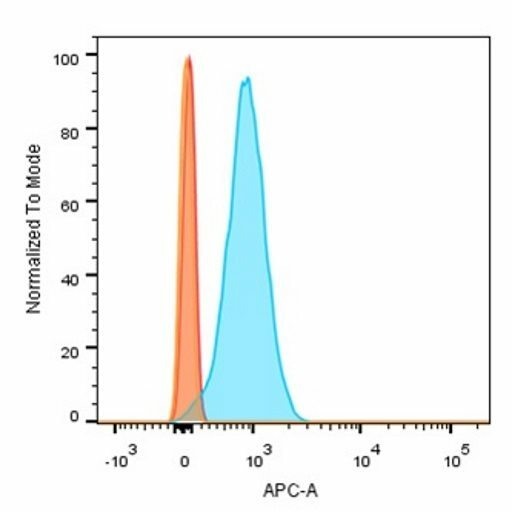 Flow cytometry analysis of Jurkat cells stained with CF®647 isotype (orange) or CF®647 anti-CD31 clone C31.7. Western blot of HeLa cell lysate with CF®647 anti-nucleolin clone 364-5 imaged on a Typhoon® Trio scanner. 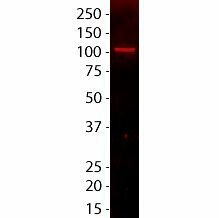 See all secondary antibody product listings with catalog numbers. 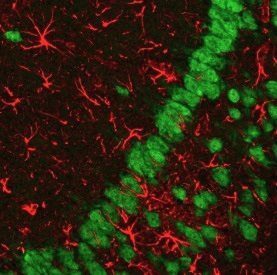 Rat hippocampus stained with CF®488A anti-NueN (neuronal nuclei, green) and rabbit anti-GFAP detected with CF®680 goat anti-rabbit IgG (glia, red). 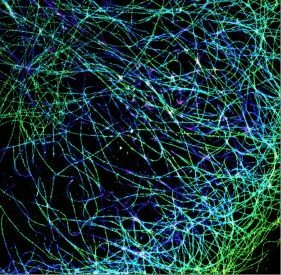 STORM super-resolution imaging of tubulin using CF®568 secondary antibody. Image courtesy of of Sam Kenny and Professor Ke Xu, University of California, Berkeley. 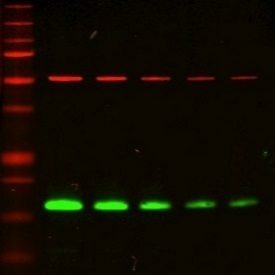 Western detection of mouse anti-tubulin with CF®680 goat anti-mouse (red) and rabbit anti-COXIV with CF®770 goat anti-rabbit (green). Blot was imaged on LI-COR® Odyssey®. Buffers and other accessories for immunofluorescence staining and other applications.